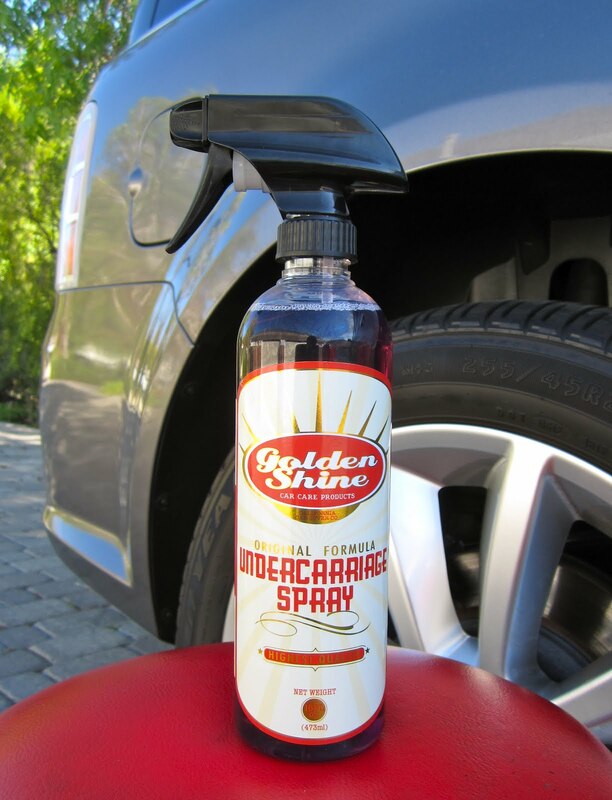 California Car Cover is proud to announce four additional items have been added to the Golden Shine Car Care line this spring. Available starting this month, we are now offering Leather Care, Tire & Trim Spray, Undercarriage Spray and Headlight Restorer in the Golden Shine brand. 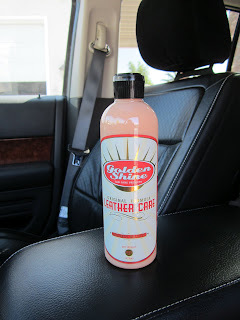 "The Golden Shine line has been well received by our customers. We have been listening to many of their suggestions for new products and look forward to bringing more great items annually," said Jim DeFrank. One of our more popular products has been our Tire and Trim Dressing. The premium dressing works great and provides a long lasting shine, but does need to be applied with a foam applicator and worked into the tires or trim. For those enthusiasts looking for a quicker way to apply the dressing we developed the Golden Shine Tire & Trim Spray. 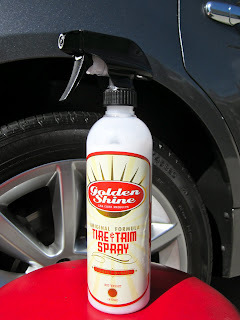 The Tire & Trim Spray applies easily and sprays on for maximum covering in a short amount of time. Any access or over spray can easily be wiped up with a microfiber towel. Once the Golden Shine Tire & Trim Spray is applied simply go over the treated area with a microfiber towel or foam applicator to make sure the dressing is evenly applied. Undercarriage Spray is no longer an auto detailer's secret. This product works wonders on fender wells and undercarriages. Often fender wells look dull and are covering in dust and dirt that is kicked up from the tires. This product provides a low shine coating to make dark plastics and metals look new. Often fender wells look like this. Though the car might have recently been washed, fender wells can look dirty and dull. 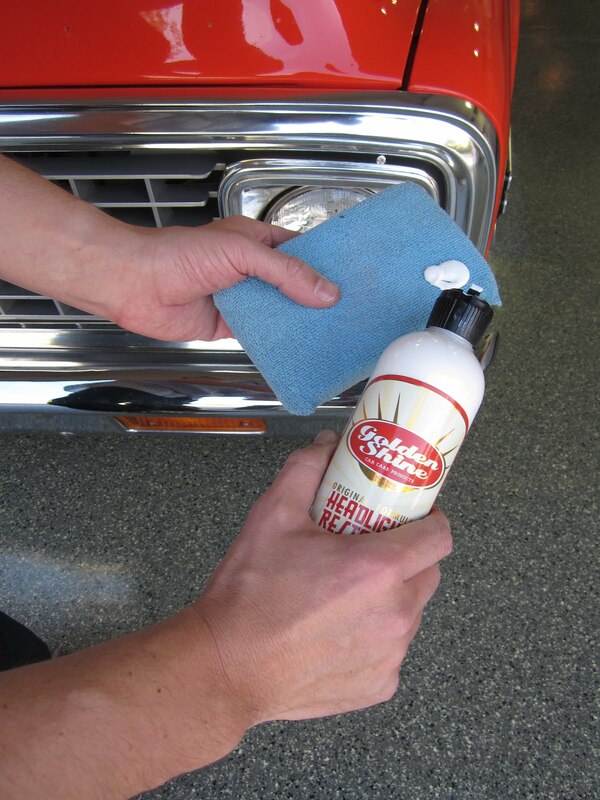 We recommend first rinsing the fender wells with a degreaser, such as our Golden Shine Go-To Cleaner. This will rinse away a lot of the grime and provide a cleaner surface for the Undercarriage Spray to bond to. Spray the Golden Shine Undercarriage Spray evenly around the fender wells and undercarriage. A nice even coat will give your vehicle a nice even shine and looks great for days, not hours. Looking to keep your seats clean and soft? The Golden Shine Leather Care is a cleaner and conditioner for interior leather surfaces. The product is really easy to use. Simply apply a small amount to a towel, work into the leather surface and buff dry. 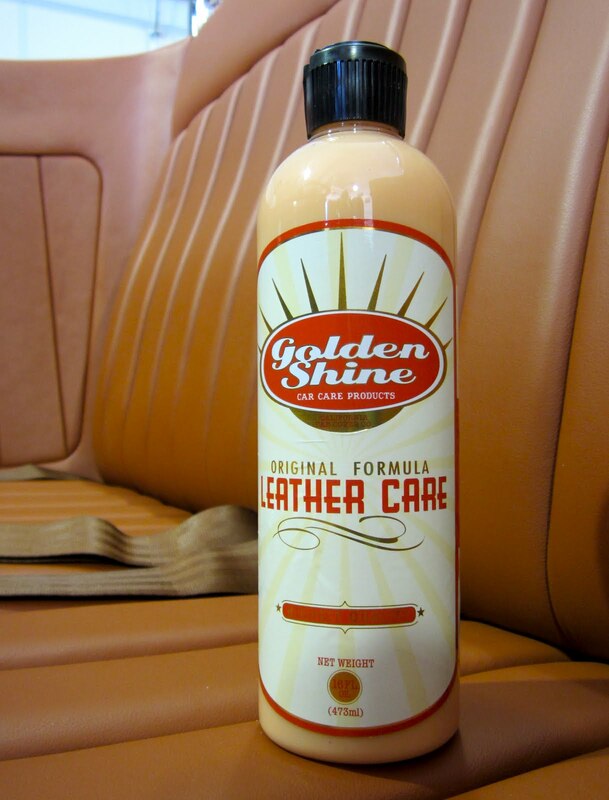 Golden Shine Leather Care provides a low sheen to all the leather surfaces in your vehicle. Headlights looking a little hazy? 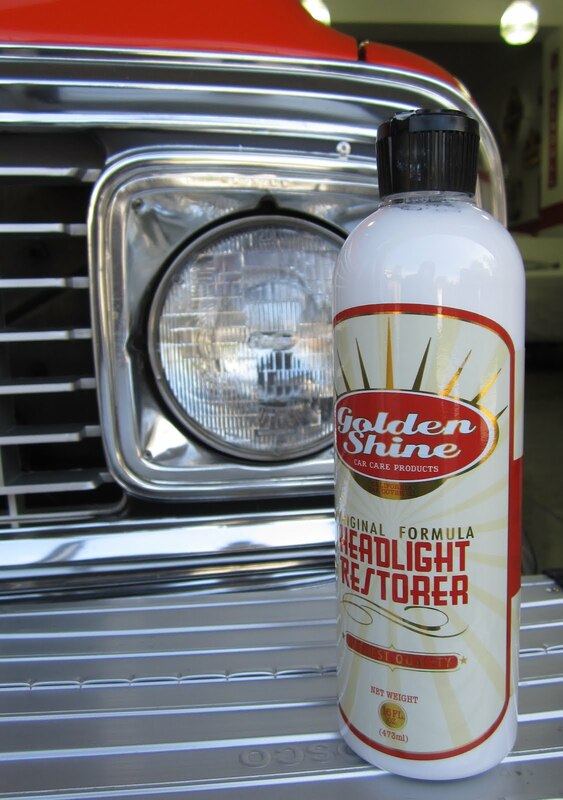 Our Golden Shine Headlight Restorer will help you clear up some hazing and make your headlights look like new. The polish is easy to use and does not require the use of a polish ball. 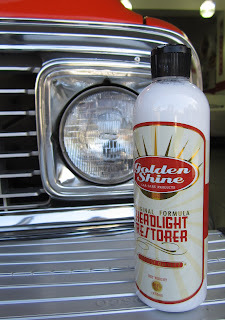 Golden Shine Headlight Restorer can be applied by hand with a microfiber polishing pad. As the polish begins to break down, simply buff to a shine with a clean microfiber towel. Our Headlight Restorer is not a heavy cut polisher. It is an enthusiast grade headlight polish. The product is meant to maintain and clean headlights with light hazing, but are in fairly good condition. If your headlights have heavy yellowing that is baked into the headlights then it is better to use a heavy cut product in conjunction with a polishing ball. These care products are used to provide a fine improvement, good-quality finish for maximum reflectivity and that highly sought wet-look, mirror-like appearance. Other benefits of using a these are to hide light scratches, swirl marks, or spider-webbing. Thanks a lot.